When you think of a student athlete who is dedicated, passionate and accomplished; it is easy for the name Catie McNulty to come to mind. 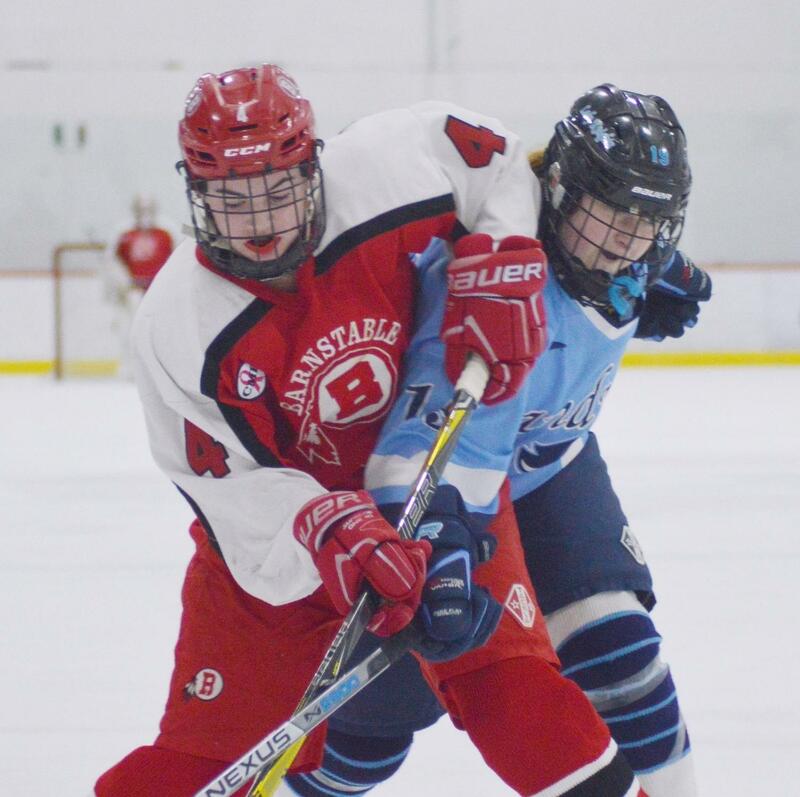 Sophomore McNulty started her hockey career in the third grade and is now playing on the Barnstable High School varsity hockey team with even more passion and motivation. “I started playing hockey because I wanted to be part of a team. Also, I started with my friend Polly Cahill; who I still play with now,” said McNulty. “When we both started we would just sit on the ice frustrated that we couldn’t skate like the other kids, but we kept on going and perservered. From there we have continued playing together,” said junior Polly Cahill. Although McNulty’s early hockey career was successful, there was one bump in the road; there was no girls hockey team in Barnstable that she could play for before she reach high school. Due to her love for the sport, McNulty joined the boys team just so she could play hockey. While McNulty is currently dedicated to playing on the high school team, she also uses her skills on the team Cape Cod Storm, a New England girls hockey league. Cahill, along with McNulty’s other teammates, are inspired by her motivation and drive to improve herself daily. She has shown her passion for hockey through all of the effort she puts “She’s constantly working as hard as possible. She practices her skating techniques with Deb Fernandez, a figure and power skating coach, and it is easy to see how much it’s helped her. I think a lot of us want to improve our skating technique like she did and that alone motivates us,” said Cahill. “She has improved her skills by working extremely hard. She works out, she takes power skating lessons, and works on her shot at home in her driveway,” stated Peter Nugnes, the BHS girls hockey coach. Not only is McNulty driven to play well by the game itself, she is also motivated by her father. “My dad was a big factor in my interest in sports. He has been a role model for my hockey career because he played as well and is my club team coach,” said McNulty, who plays defense. Her teammates are another reason for to her dedication to the game. “They push me to play wellevery game for them, they are my second family,” stated Catie. “Catie helps the team on and off the ice with her work ethic. She is very focused, and extremely hard working,” stated Nugnes. For Catie McNulty, the current ice hockey season is going just as great as one would expect from her. “Her season has gone well so far, she has scored some great goals, she plays on our power play and penalty kill. She logs a lot of ice time,” stated Nugnes. Although she is only a sophomore, she has hopes to continue hockey even after high school; possibly for a college. “Without hockey, my life would be lack luster. It would be so boring!” said McNulty.